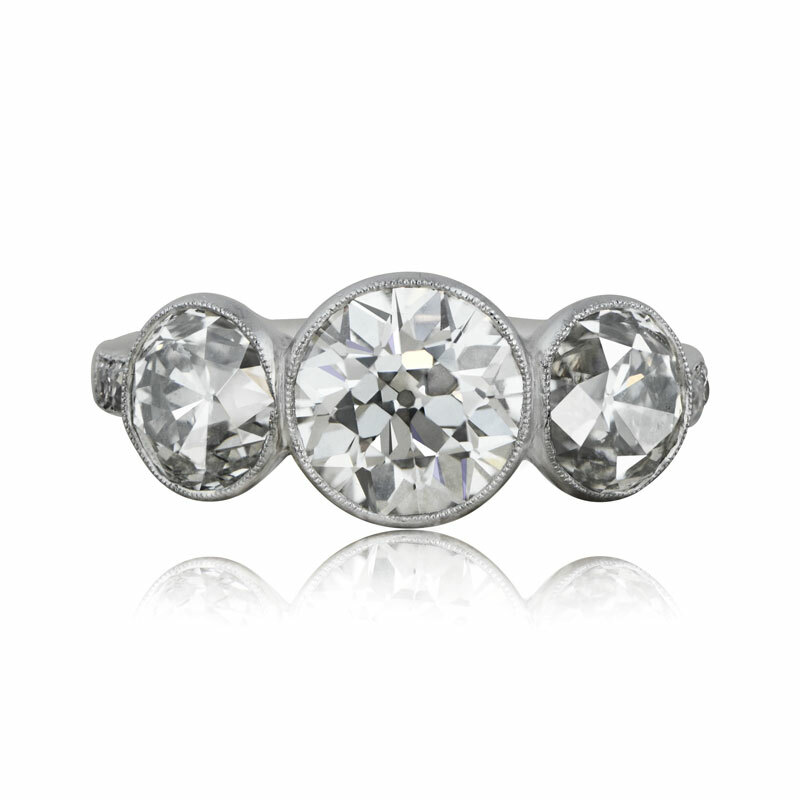 An impressive three stone bezel set diamond ring set in platinum and exhibiting antique-cut diamonds. 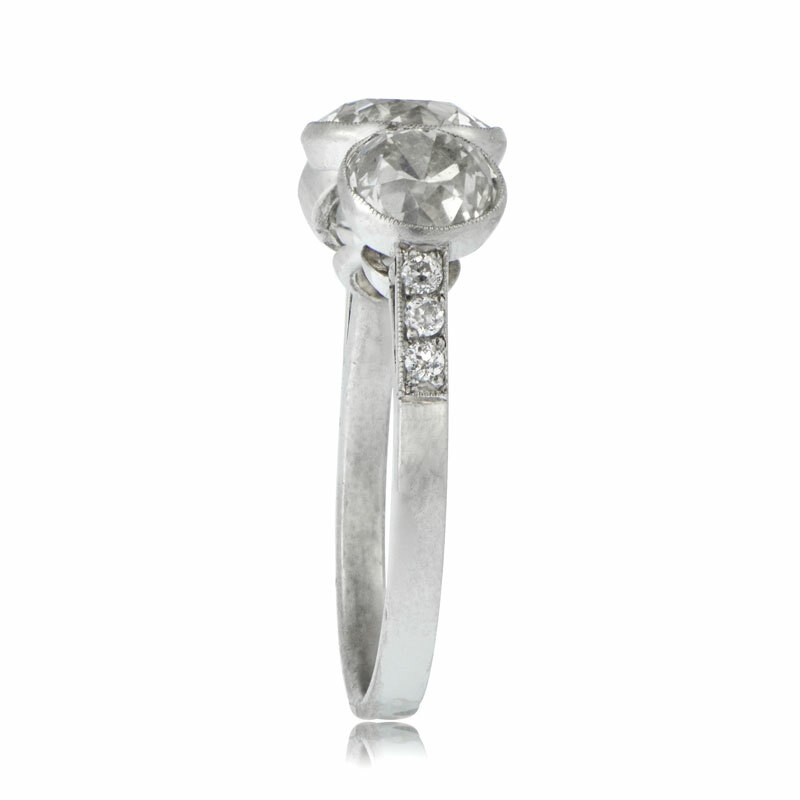 The center and primary diamond is approximately 1.55 carats, I color and VS2 clarity. 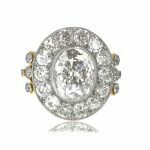 It is flanked by two diamonds on either side that carries an additional total approximate weight of 2.14 carats (I color and VS2 clarity). The shoulders feature three accenting diamonds on each side. 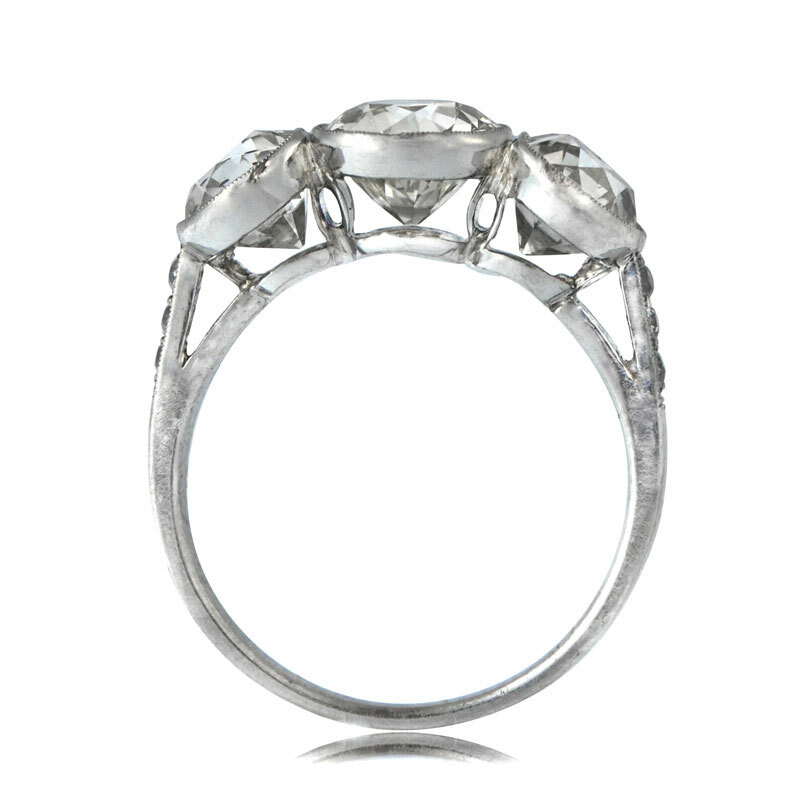 The center diamonds were cut circa 1920. 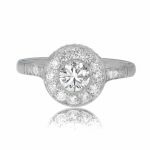 SKU: 6682 Categories: Old European Engagement Rings, Vintage Engagement Rings - Contact us and request additional pictures.